The things some fans will do, huh? 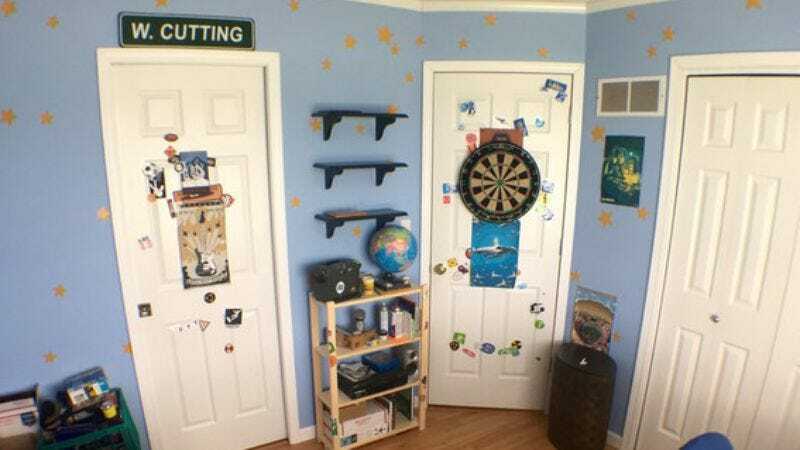 A deep, abiding love for Disney-Pixar’s Toy Story franchise, especially its third installment, has inspired some devoted Pixar acolytes to meticulously recreate Andy’s room, down to the most minute detail. While on its face this seems like a classic example of taking fandom to places it was all but assuredly not meant to go, the results are impressive nevertheless. Indeed, photos of the Toy Story 3 simulacrum are so eerily accurate that they could easily be mistaken for stills from the movie itself. “It may sound a bit obsessive,” notes the group’s spokesman, “but we tried incredibly hard to make sure that every little detail was captured.” For proof that they succeeded, look at even just one wall of the set to witness such arcane details as Andy’s whiteboard (with handwriting intact), plus various colorful posters, and even a sticker-bedecked red Pixar lamp, all uncannily movie-correct. When my friends and I began recreating Toy Story 3 in late 2011, we knew that we would have to create a full scale Andy’s room. I mean, let’s face it. You can’t successfully recreate Toy Story 3 without a realistic looking Andy’s room. It took about 2 years of work, but it was totally worth it. It’s the room that most of us grew up wishing we had. From the hardwood floor to the bright white woodwork, it’s all there.